Digitization of all data at the source reduces the risk of electrocution dramatically. The elimination of open current circuits minimizes exposure to high voltage electricity and reduces the risk of damaging equipment. Replacing old copper cables with digital communication capability shortens installation and retrofit times and enables complete system supervision, reducing maintenance requirements. 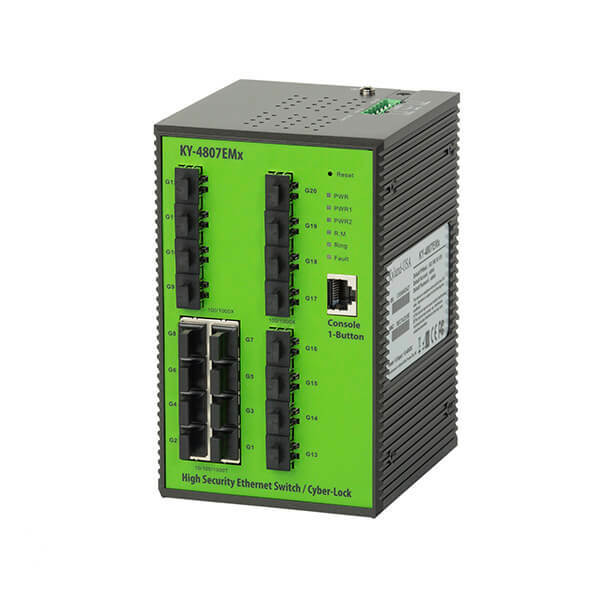 Fiber optic communications provides requires electrical isolation. Digital technology creates a future-proof substation, thanks to efficient information management, diagnostics and data configuration for optimized operation and maintenance. 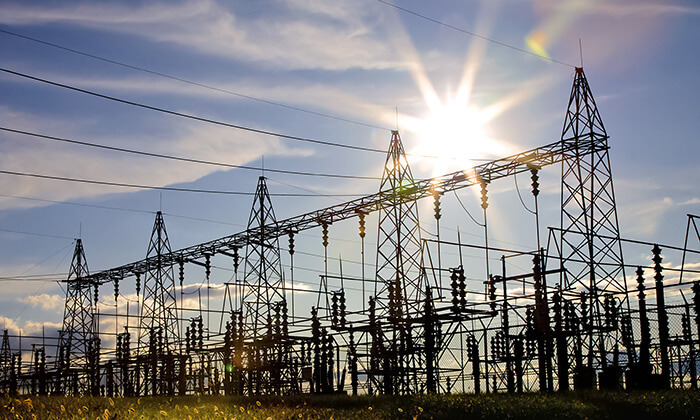 Complete supervision of all substation automation components facilitates faster fault detection and elimination, and further minimizes the need for periodic maintenance, lowering costs as well as reducing outage times. Merging units with minimum delay times and IEDs with DYMEC’s highest GOOSE network performance levels support fast data transfer and protection functionality. PowerT&D was acquired by Alstom of France in October of 2010. Alstom and Schneider Electric combined forces and worked as joint-solution providers for the country’selectrical transmission and distribution systems. The two companies provided solutions that allowed the company to bring electricity from the generating site to the distribution network. 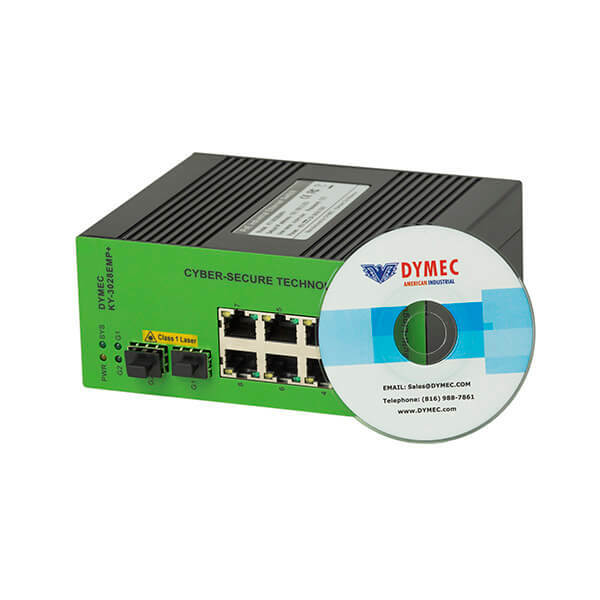 High reliability and high security ethernet is why the DYMEC product was chosen. 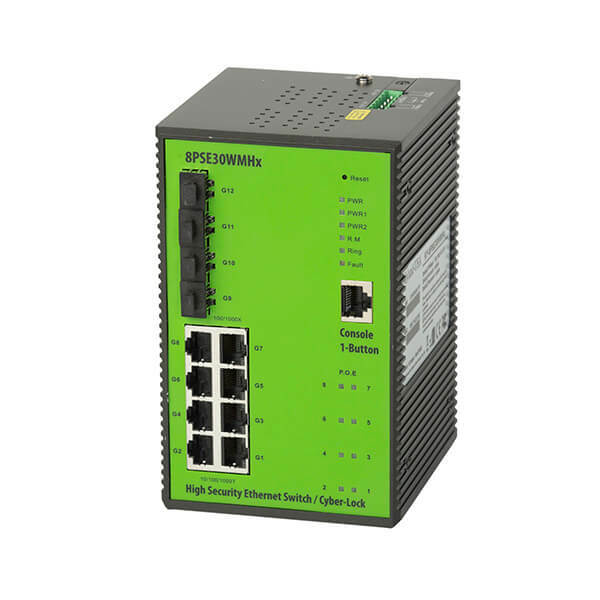 KY-8PSE30WMHx- 12 Port, PoE+ (30Watt), Gigabit, Din-Rail / Shelf Mount Dual Redundant DC Power Inputs Layer 2 Switch, Managed.